This half way level between the floor and ceiling is known as a mezzanine level. With thoughtful design, it can turn into a versatile and functional spaces that help to add a certain vibe to the space and increase the square footage of your home. You might have already seen many mezzanine bedroom designs which is one of the most common usage of mezzanine space – have more open living room area and more privacy bedroom space. However, there are some people choose to something differently with the mezzanine level. In below post, you will find levitating office, home library and even a bathroom. 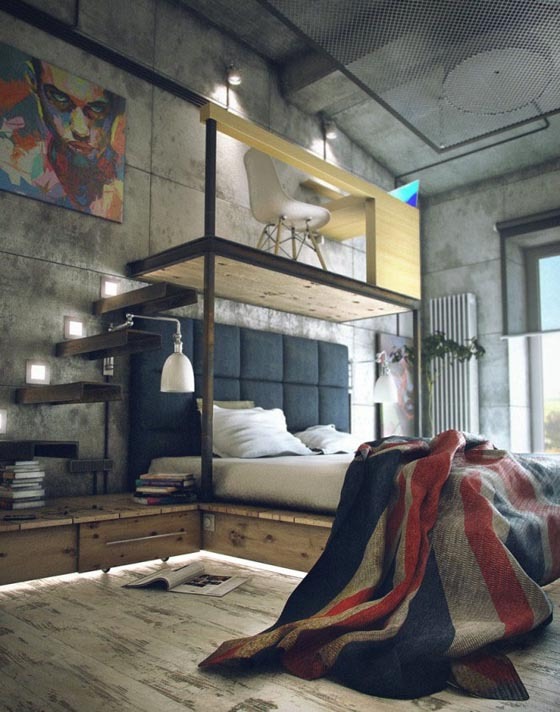 Designed by Maxim Zhukov, this industrial bachelor loft have the office space levitating above the bed. 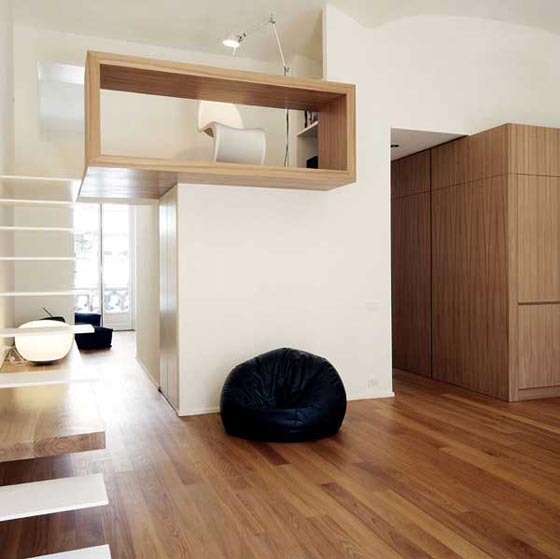 A set of floating stairs lead up to the simple platform with a desk/railing oriented towards the window. Designed by Italian architecture company Studiota, levitating alongside the white wall, a superb staircase leads up to a small but fantastic home office/study. 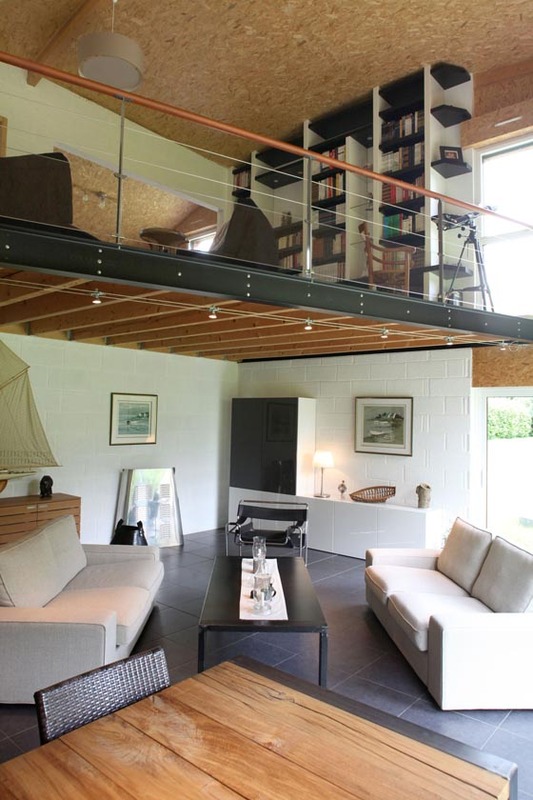 Love the wood material and such a nice home office mezzanine design. Deisgn by Steinmetz De Meyer Architects, this creative mezzanine level just successfully created an easy access to the up to ceiling book shelves. The glass floor above the living room looks pretty cool. French architect Patrice Bideau has designed this bioclimatic house which has a beautiful mezzanine level severed as a home office.